Houston, Texas is home to an impressive array of restaurants. Flavors go well beyond the traditional southwestern steakhouse that is often considered the cornerstone to the Texas culinary world. The culinary schools alone are symbolic of the sophistication of the Houston palate. 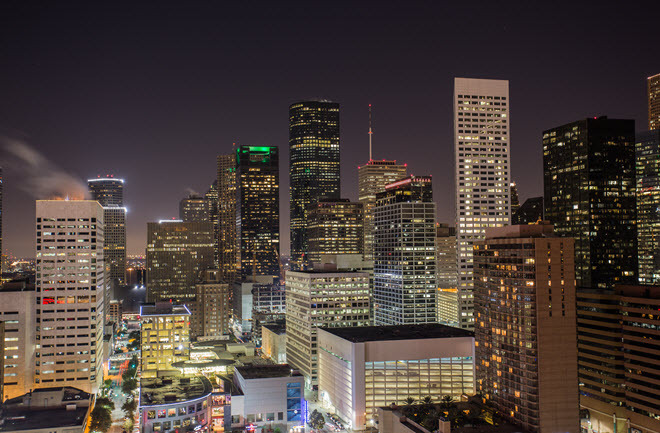 Houston is a key industrial port with a business heritage nearly unrivalled even among the top metro areas in the U.S. The city is most known for its oil heritage, top-notch medical centers and the Johnson Space Center, a key component in the NASA Space program. Thanks to these industries the economy continues onward and upward and the population builds with increasing diversity. Where there is world-class business and commerce comes a demand for good food and talented well-trained chefs. With the Houston skyline as a backdrop you can study to become a chef or restaurant manager, even master cook, at an excellent culinary program. Externships, a key part of most cooking programs, put you into restaurants where you learn from some of the best chefs in the Houston food and wine scene. Whether you’re fresh out of high school or a career changer pursuing your true career passions you’ll find full-time and part-time programs that give you the skills and savvy you need to carve out a niche in the Houston food industry. Check out the Houston culinary schools. This chef-owned and operated culinary school wins awards again and again for its top-notch curriculum and aggressive training programs designed to turn out next-gen master chefs. Choose from a half dozen programs, including diploma and Associates degrees in Culinary Arts, Cuisines, and Pastry and Baking. The LeNotre family boasts generations of celebrated chefs. The International Culinary Schools are some of the most well-known in the country with a couple dozen locations in major metro areas. The schools offer challenging and aggressive culinary arts and pastry and baking programs. An innovative regional competition—Best Teen Chef-- and courses taught by master chefs help fuel this very popular cooking school and provide vital financial aid to area students passionate about cooking. Degree programs include Associates and Bachelors degrees in Culinary Arts, Baking and Pastry, Culinary Management, and Restaurant and Catering Management. Fast-track a general Culinary Arts degree with an abbreviated diploma program, as well.